Our Cable Railings are popular along the beach areas. Cable Rails open clean design offers a better view. Custom Post Shapes will make your Railing unique. 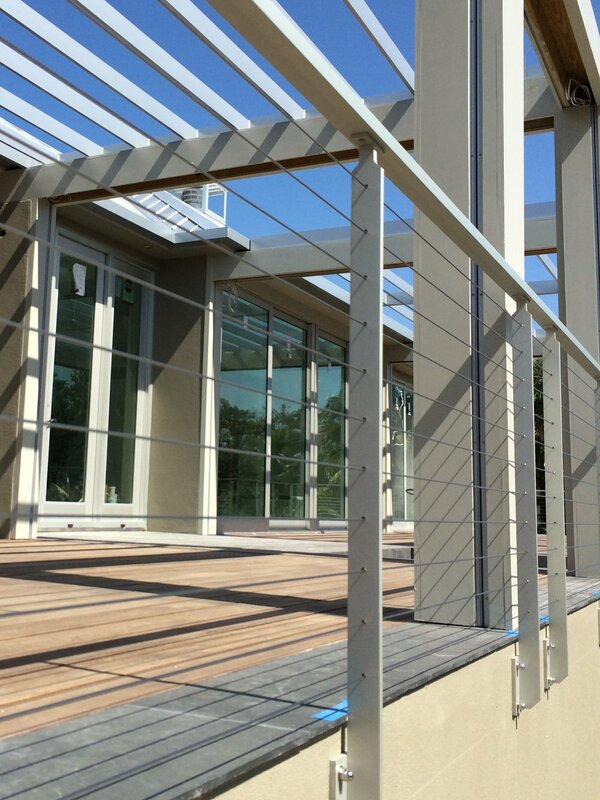 Exterior Cable Rails are made from Stainless Steel Cables. Posts can be made from Aluminum, Wood or Steel.